Haha, yeah. In comparison the hydro pumps look rather small. It is! Or, better yet, change it from ice beam to ice... something, because a beam of ice seems sort of weird. Or is that just me? Actually looking would have been way too much work when there was a possibility that I couldn't have the special avatar! And I can't, so. Doesn't matter that much anyway. Ugh, I could imagine. I'm terrible enough at normal reffing, but with nothing happening like that... I've sort of not bothered with the anime for a long time. It still looks pretty large, though? Hydro pump is still big, but it would probably depend on the ref which is bigger. Exactly. Swapping it with aurora beam's thing wouldn't make sense, but just make it white and add the pretty colors onto one thing. Really. It looks like a toothpick or something. 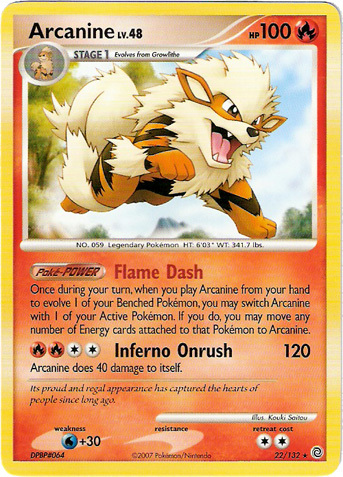 Arcanine actually has a lot of cool art! This is where my previous one was from, and it looks like it could've been pop-out of it... was. This one is small, but if I found a better resolution it could probably work. But then my ninjatoes will be stiff and that will make me sad and I'll pull the suit into a wormhole. ... really? You don't seem like you're 12 o.o Nor do you look 12...? Or well I've always been a terrible judge of age... Still though I thought you were older! So you've been ASBing half your life? But I'm all limp and when that happens I can't hold onto the fluff and I become unmooshy. And you don't want that! But then I'll be sticky and not fun to moosh, either! I don't have much of an understanding of belting and head voice and blah blah blah... From what I understand of belting, well. I don't do it much. 8D; Even when I'm alone I just have this fear of singing too loud, for some reason... Maybe the neighbours might hear me, haha. Anyway in choir, I was mainly given middle parts so I think I can... sortakinda sing those loud? Kind of? I don't even know. BEES. Nevermind about my previous blasphemous comment about honey. Honey is amazing. I have enough energy to work (assuming a sane workload), but other stuff? Like exercise? Hahaha no never. Also wtf why are we so similar in little ways. I'm /technically/ alto but I often accidentally sing the tenor parts OTL Other times I accidentally sing soprano because I can't hear the other altos and I'm like "what am I supposed to sing this? Wait that's soprano what do"
Considering how res just sort of encored itself into spite (but not), I don't see how bad it would be. It would be sort of boring, though; an interesting thing to see but it would just clog up a battle slot. Wait, how huge is hydro pump? I always imagined hyper beam being huge, but maybe I should check the Attack Guide. ... And hydro pump as being just a really powerful water hose. (Speaking or random things, I always had this odd distaste for ice beam's animation--it seems so small and fragile and unpowerful but when you look at the stats... Unpowerful is totally the word, of course.) Oh, okay. ... Yes. xD Dream World art, actually! Unless I just sort of decide to stand out as different (primarily due to the comparative shittiness), that'd be very hard to do. Spite the encore, maybe? Hydro pump, no. That you attempt to dodge by shooting a larger hyper beam at the hydro pump to envelop it. Wasn't your surfs' power reduced, though? This is close enough for now. I don't think they do either, but as shown I can improvise. Maybe just pop-out art? That would require me drawing it myself, but. So... in order to find the secret to time travel, we must study dogs and kittans and snakes. It's sharing, not giving. You'll keep the knowledge! ... The best plan! Yes!